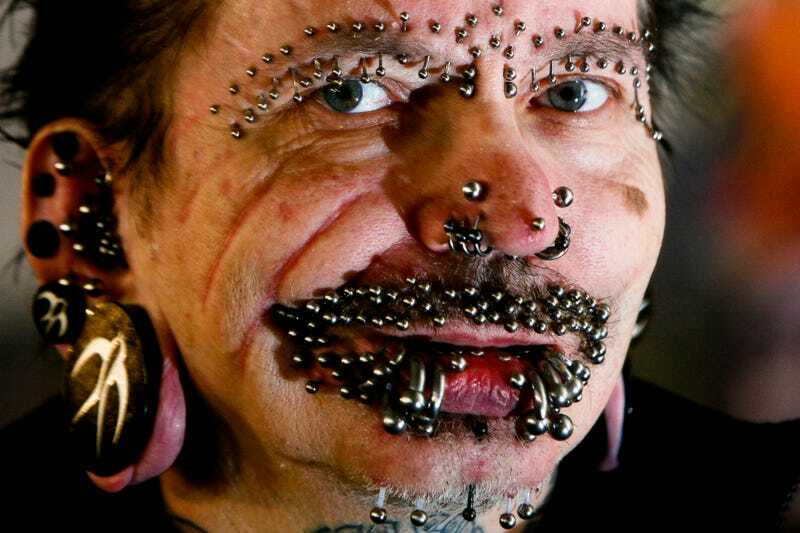 Rolf Buchholz and his 453 piercings and body modifications landed at Dubai International Airport, expecting to make a night club appearance along with some of the world's other strangest people. However, authorities sidelined him after he "horrified" passengers, and sent him back to Turkey. In a land known for extremes (at least within the architectural and monetary realm), the German national and Guinness World Record holder's appearance was apparently too much for some narrow-minded travelers to take. Buchholz told the Associated Press that officials were concerned about black magic, and were especially spooked by the two horns protruding from his forehead. He said, "I got never an official answer. They are friendly but nobody answers your questions." He wasn't just denied entry into Dubai this one time. He says he was ordered to never return, though he'd come back if he were allowed.